The table below shows a feature comparison among the three main editions. Self-Service Business Intelligence (Alerting, Power View, PowerPivot for SharePoint Server)? ¹Existing SQL Server Enterprise edition licenses in the Server + CAL licensing model upgraded to SQL Server 2012 will be limited to server deployments with 20 cores or less. Refer to Datasheet and FAQ for more details. ²Analysis Services & Reporting Services. ³Basic includes log shipping, database mirroring, server core support and two-node Failover Clustering. Windows Server Enterprise edition or above is a system requirement for AlwaysOn / Failover Clustering. SharePoint Server with Enterprise CAL is a system requirement for Power View and PowerPivot for SharePoint. 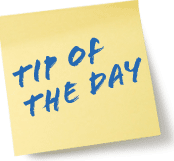 Alerting is accessible through SharePoint Foundation or above.